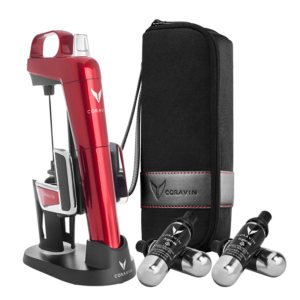 Wine-on-release trigger – press the trigger to pressurizes the bottle with argon gas, release the trigger and the wine to pours out. 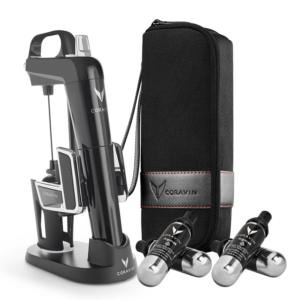 Ergonomic handle – allows you to easily operate the Coravin Model II with one hand, while using the other to hold the bottle. Angled spout – directs the flow of wine for a clean and even pour. 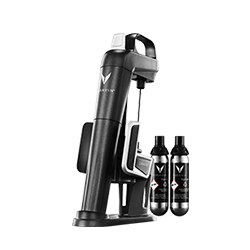 High tension spring – provides the clamp a strong secure hold on the bottle, ensuring that the Coravin Model II remains stable while pouring. 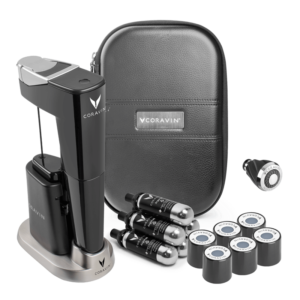 Adjustable width – fits on standard bottles in a variety of sizes. 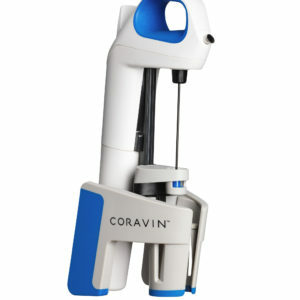 Angled arms – stabilize the Coravin Model II so that it conveniently stands on its own when not in use.